The cherry blossoms are in full bloom in our neighborhood. They’re losing their petals fast, though, and shower us with pink snow on our walk to the park. Piper says they look like cotton candy trees. She’d like me to raise her up so she can lick one, but I won’t. A girls got to learn to climb her own tree and claim what she wants. Sorry, Piper. I will cheer you on, though, and I promise to clean up your knees if you fall. 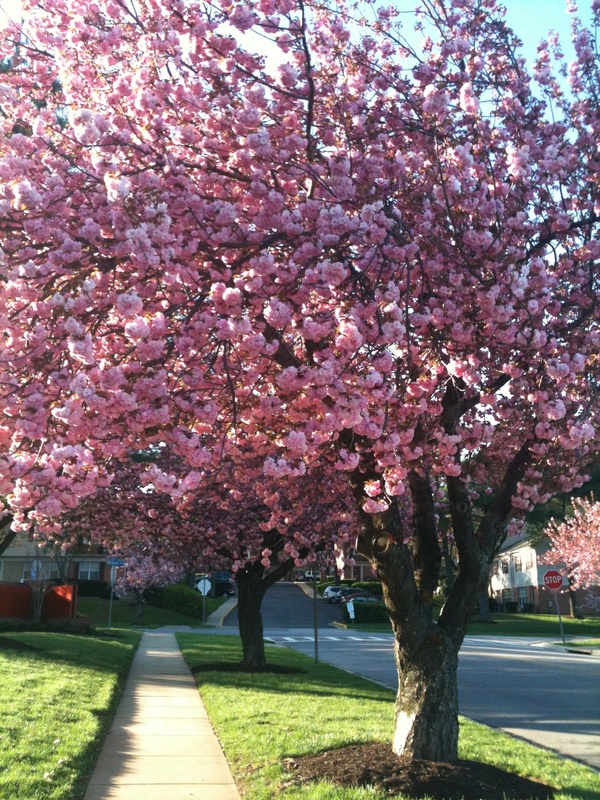 This entry was posted in Daily Dharma and tagged cherry blossoms, climbing a tree, cotton candy, piperism, raising strong girls by melissa.scholes.young. Bookmark the permalink. In Pipster’s defense, they are very beautiful. And true, they are fun to shake. But their fair-food likeliness I’m not quite sure of. I’ll be sure to take a better look next time. We probably shouldn’t go around the neighborhood licking the trees, Sissy. The neighbors already talk. I’d take a field of bluebonnets in exchange. Deal. We could rule the world. And take really nice pictures while ruling it, eh? Absolutely. Our subjects are rather inspiring. The nature stuff doesn’t hurt either.